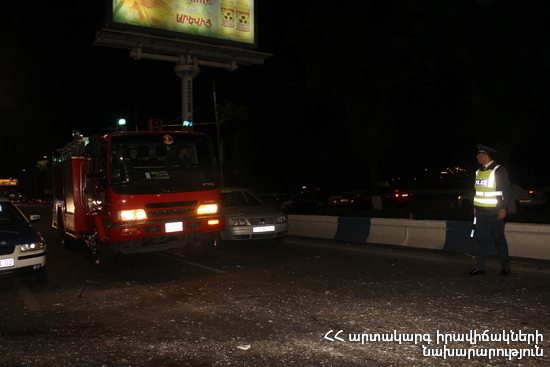 On September 11, at 22:58 an emergency call was received to “911” service that a car accident had occurred on the 2nd turn of Dilijan: the rescuers’ help was needed. It turned out that “Toyota Camry” and “Lexus” cars had collided, as a result of which “Lexus” had turned over onto its side. The rescuers put the car back onto its wheels and removed it back to the roadway.